As I watched the headlines unveil about the Luis Severino injury, I couldn't help but zero in on local sports reporter Bruce Beck's comment on the 6:00 p.m. broadcast last night as he said the Yankees essentially need to figure this out. And yes, they do. He went on to say that Jonathan Loaisiga, despite having a bad outing, could be an option. The New York Post said, "His stuff is filthy enough it makes veteran baseball men pay attention." Are we desperate for pitching? 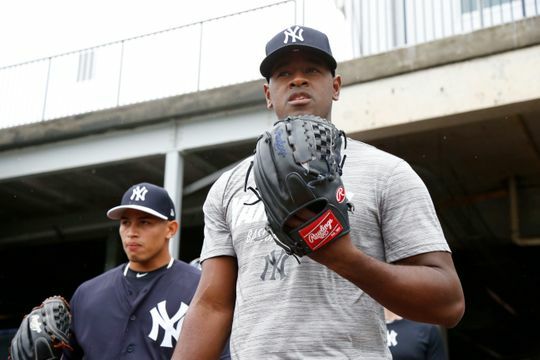 Desperate for Severino or a little bit of both? 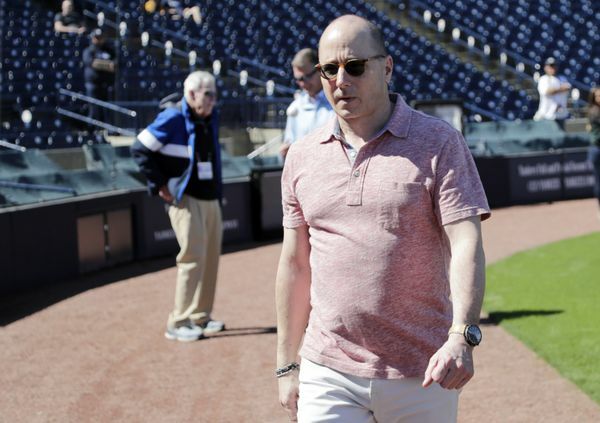 Brian Cashman said in an interview yesterday, "Obviously, it’s a concerning situation until he’s on the mound for a consistent period of time,’’ Cashman said, “to the point where you forget that it even happened. We’re obviously a long way away from that," reported USA Today. He went on to say that the team would rely on who they have in the pipeline and re-evaluate as needed. That doesn't sound desperate, but are they underestimating the potency of the injury? According to the NY Post Loaisiga, "is no sure thing. But he is possible thing. He has that arm. He has that slider. He got seven outs Wednesday and five of them were strikeouts, and all of those looked downright unfair. 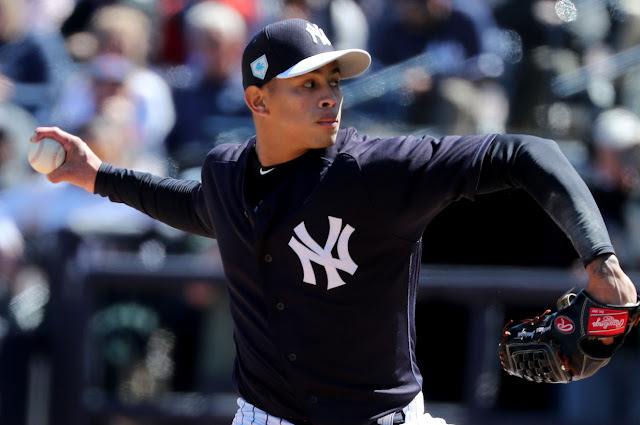 He knows he has an opportunity here, that he can pitch his way onto the March and April rotation, and if it saddens him that Severino had to get banged up to force that to happen … well, he’s been in those shoes, too. Plenty." But, here's the thing...are we willing to take a chance on Loaisiga in the short term or even the long term? I don't think so. Even if he is the real thing. 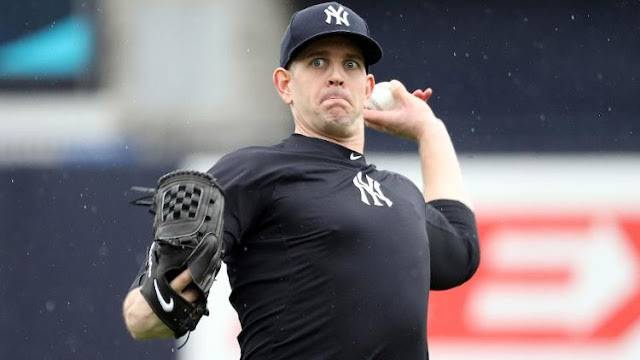 The Yankees need someone else, and that someone else would need to be here regardless if Sevy is in the rotation or not. And that someone may not be the obvious choice in everyone's conversation. 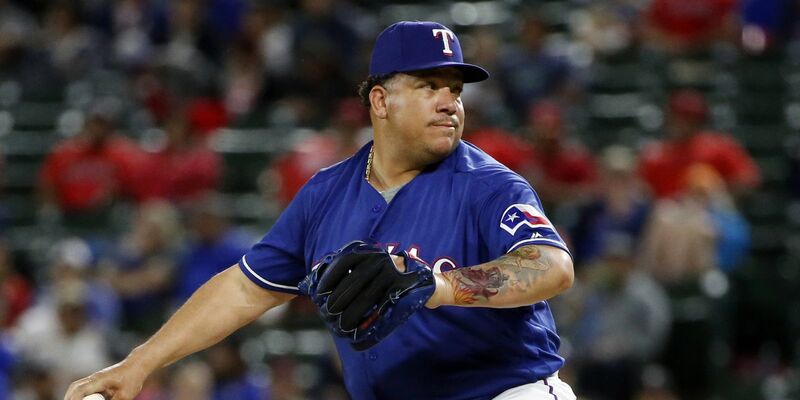 What if it was a one-year contract for Bartolo Colon or James Shields? 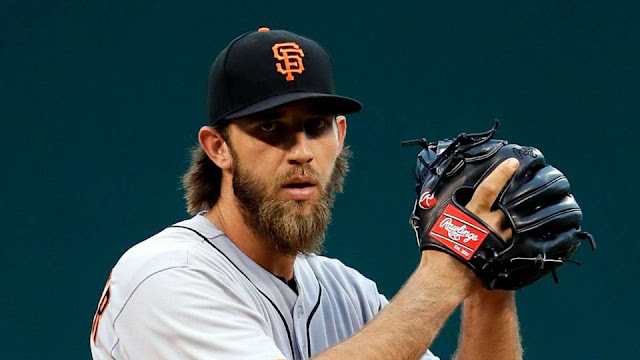 According to USA Today, "Maybe it’s time to pick up the phone and see if the San Francisco Giants can be persuaded to deal Madison Bumgarner now instead of waiting until this summer. The Arizona Diamondbacks should be open to listening to offers for ace Zack Greinke, and perhaps Robbie Ray, too. The Cleveland Indians dangled co-aces Corey Kluber and Trevor Bauer during the winter, so maybe those talks could be re-visited."